My fellow .com enthusiasts reading this, kherrow! hoping you're all well! 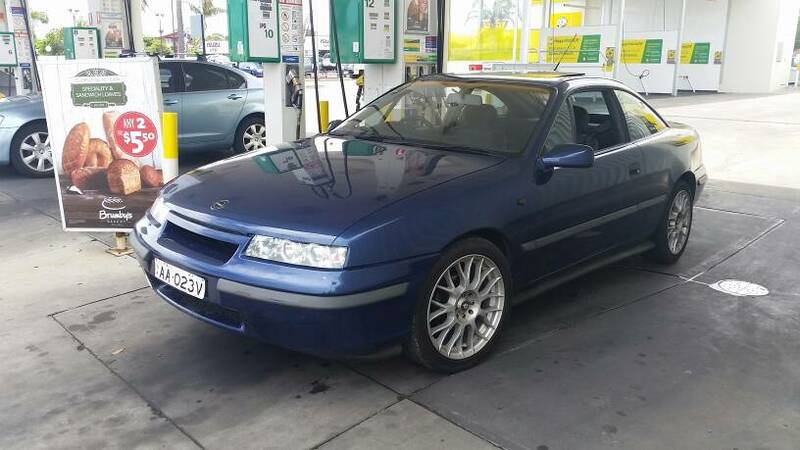 I present to you Calibra number 3! 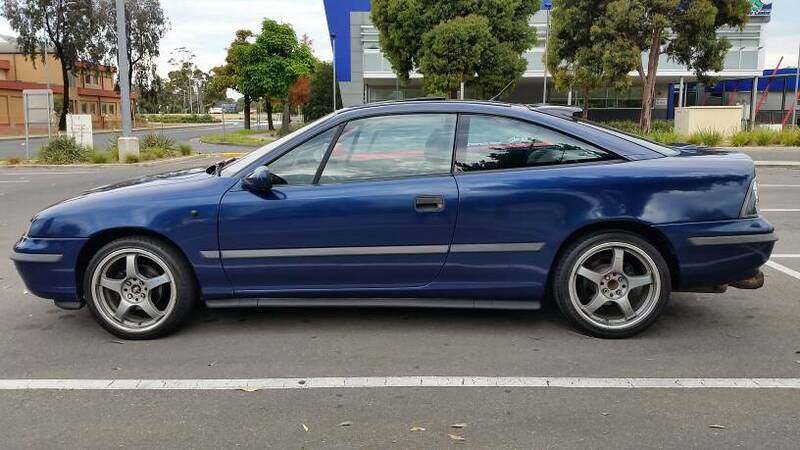 1993 Spectral Blue C20ne Auto 4cyl. The line up at home! 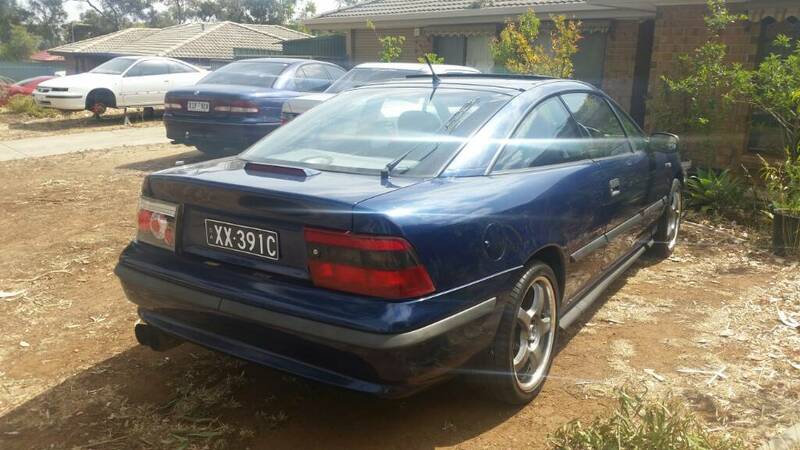 Long story short I saw that it popped up on Gumtree and the colour is what really stuck out to me. 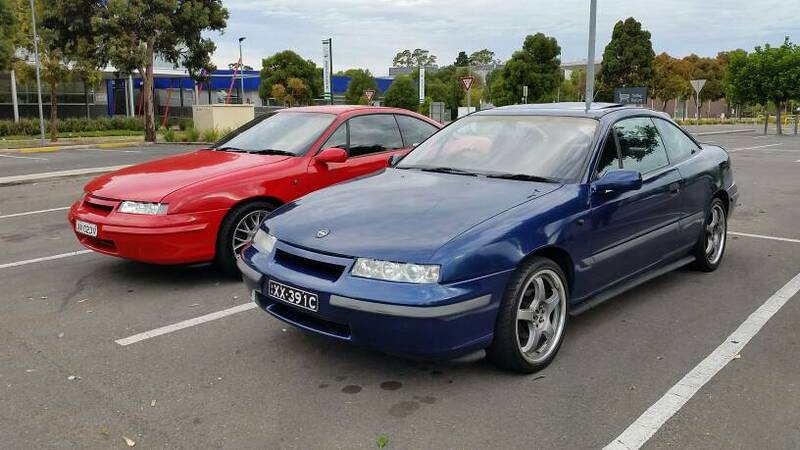 Being that the 8v auto engine in it had high kilometres =bargain price, but the body and paint was in really good knick, I thought to myself, well I have my old really low kilometres+new clutch 16v manual sitting in my white parts Calibra so I thought SCREW IT and with the help of a mate I'll soon be swapping the internals from the white Calibra into the blue one and converting the auto blue Calibra to manual. Have never attempted anything like this before, so shall definitely be good experience. My friend has done swaps like this before so he'll be my saving grace! 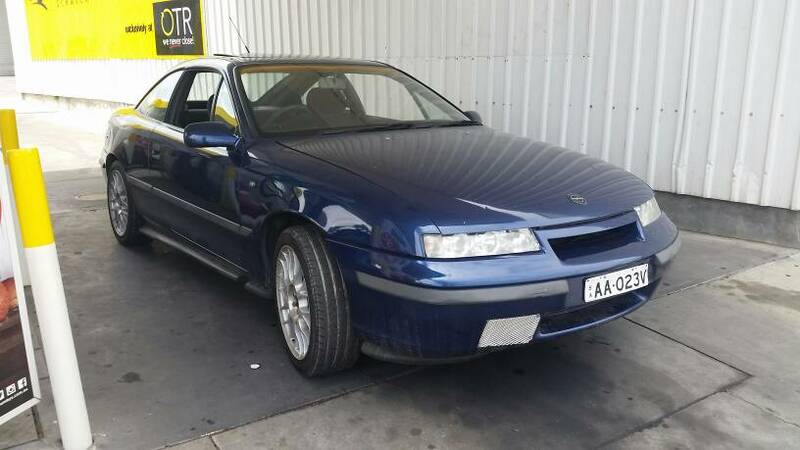 The blue Calibra was a bargain and came with rims and meaty tyres, aftermarket tail lights and front Angel Eye headlights, sound system, exhaust, boss kit racing steering wheel and some other bits. After the engine swap is done I'll focus on the aesthetics. 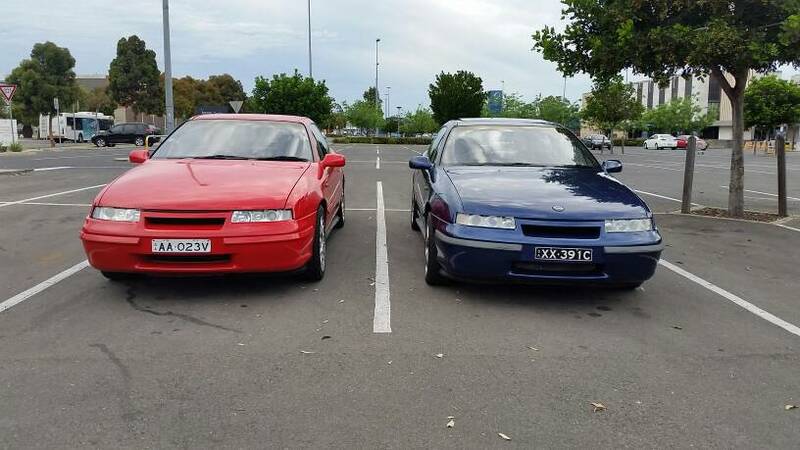 Here's to Calibra journey the 3rd! 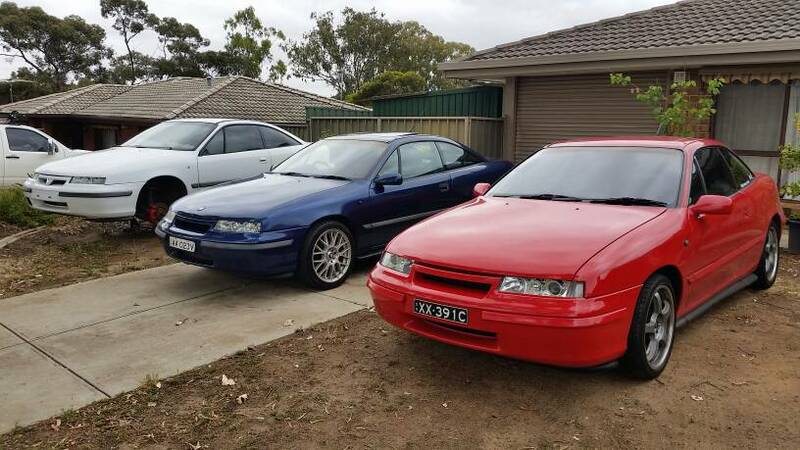 Hahah never planned on a 3rd Calibra but they say, you're only young once right? 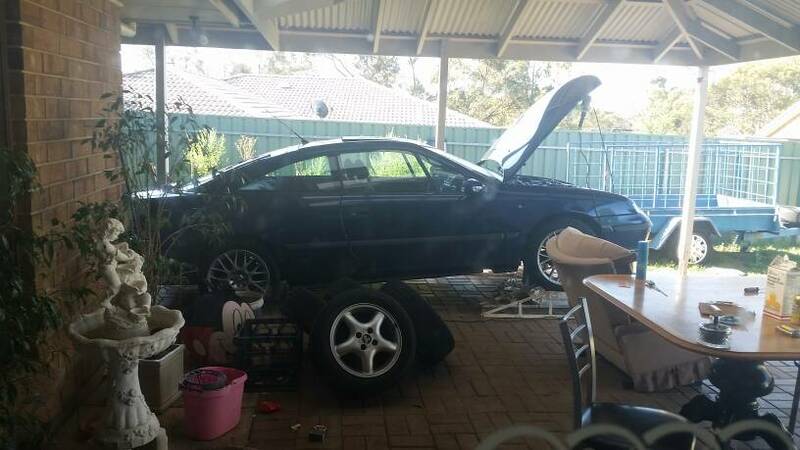 Hahah Nah mostly because my old parts car engine has such low kilometres @110,000 and a new clutch I thought why let it sit and waste away or flog it off.. May as well use it since I can trust it! 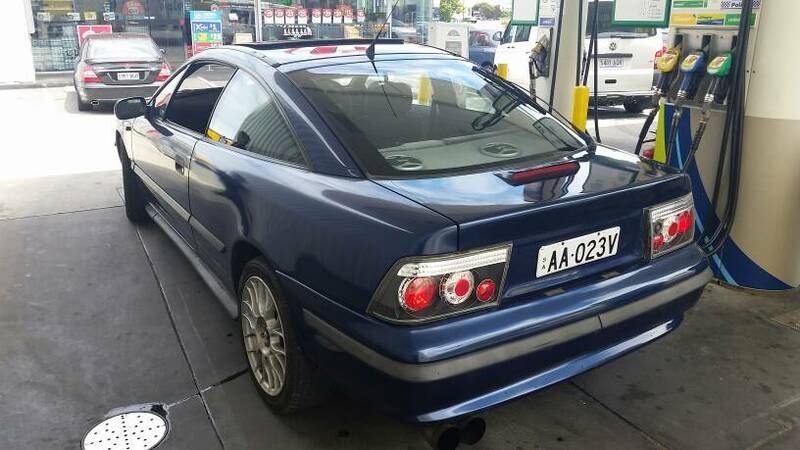 And I also swapped the orange side indicator covers for the tinted ones from my red calibra after I finished fueling up. Couldn't wait till I got home hahah. 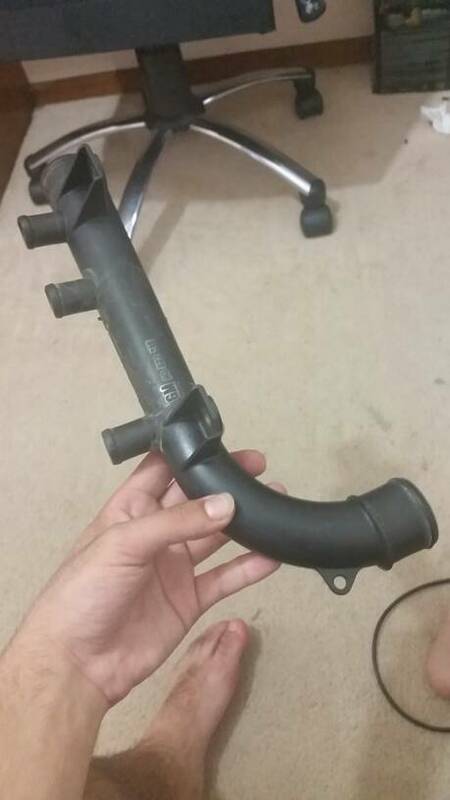 She kept losing all coolant.. Found out it was this pipe! Other than that just tyre shined the wheels and replaced the boot window rubber seal as it was ripped in one section so the white one donated it's mint seal. Can't wait to do the swap and feel my old engine back in action! 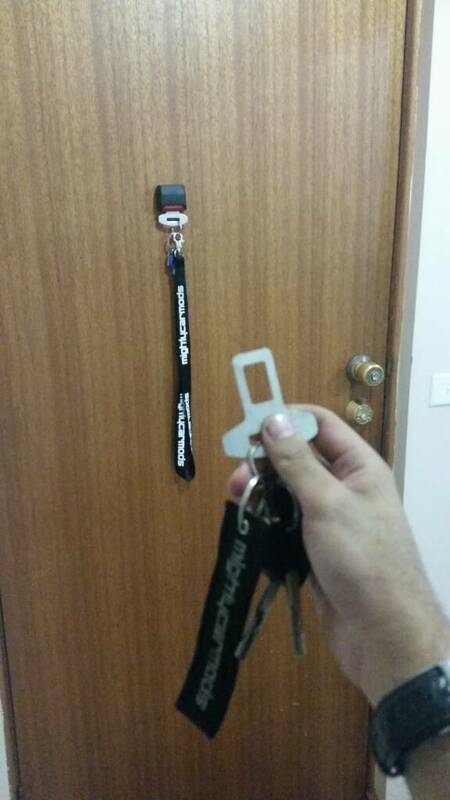 It'll really be a happy moment turning the key for the first time! 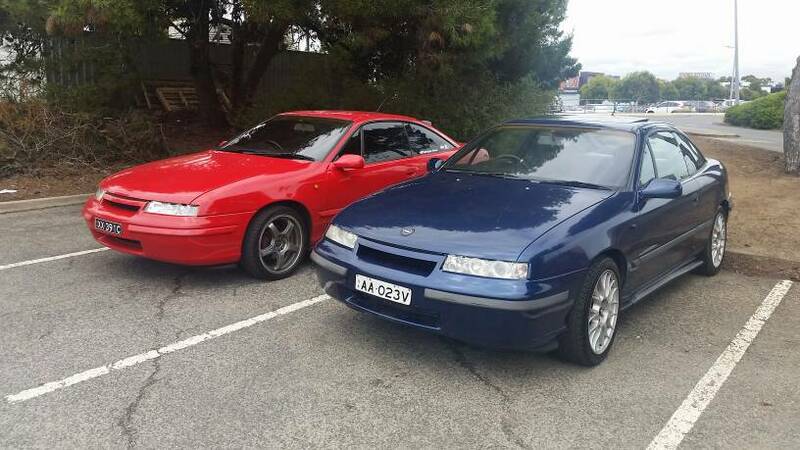 Here's to Calibra journey the 3rd! rips wrote: Bodywork looks quite tidy. Yeah she's not too bad. Cheers mate.. Let's see how we go! 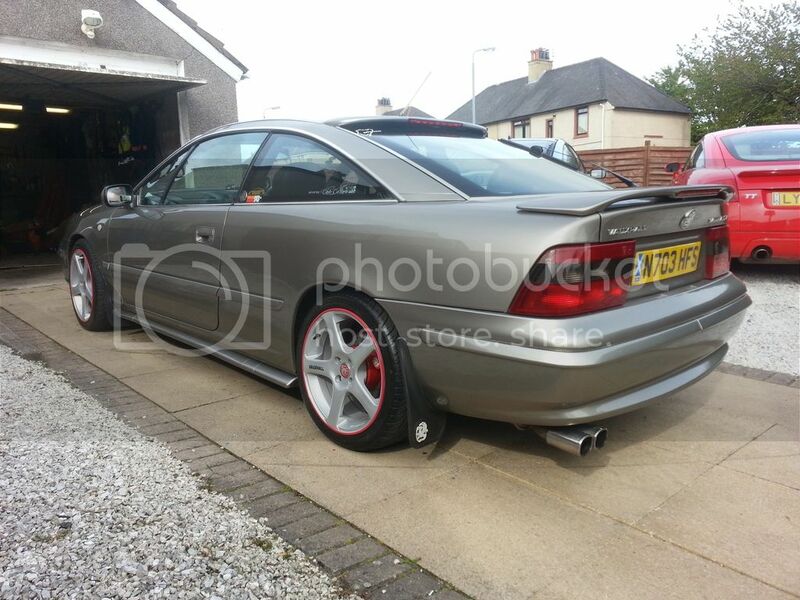 Yes the new Calibra has plenty for me to fix up and refresh and keep busy on! 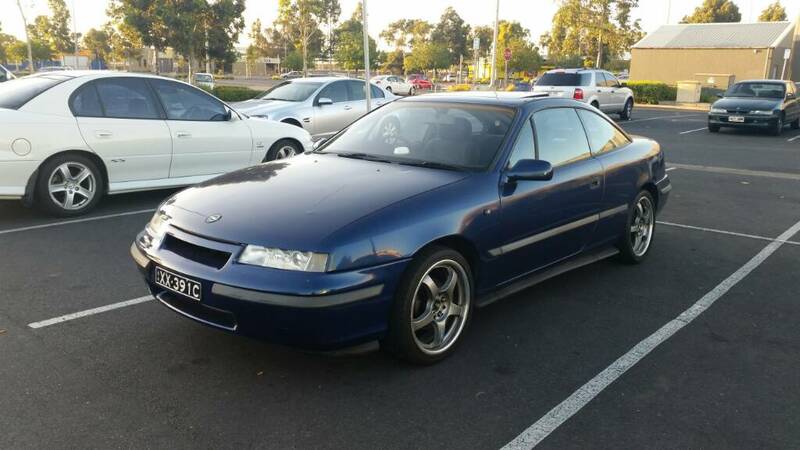 Thanks amigo, will be a big job but worth it to keep this blue Calibra alive longer. The auto box is slipping gears, so not long left currently. Might try photoshop them on the red to see how they look. Yes I'm not a fan of the stock factory red lights on any red car. 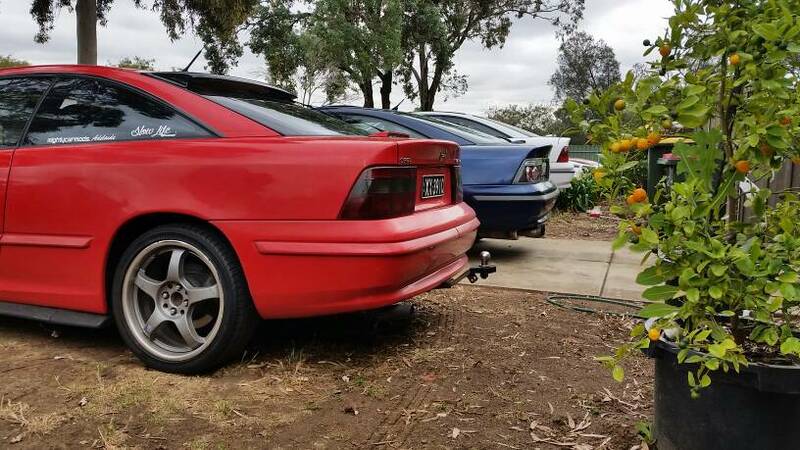 That's why I tinted them, atleast the tail lights on the red look like a, shade of dark red rather than a shade of stock red that blends into the rest of the car and looks bland. 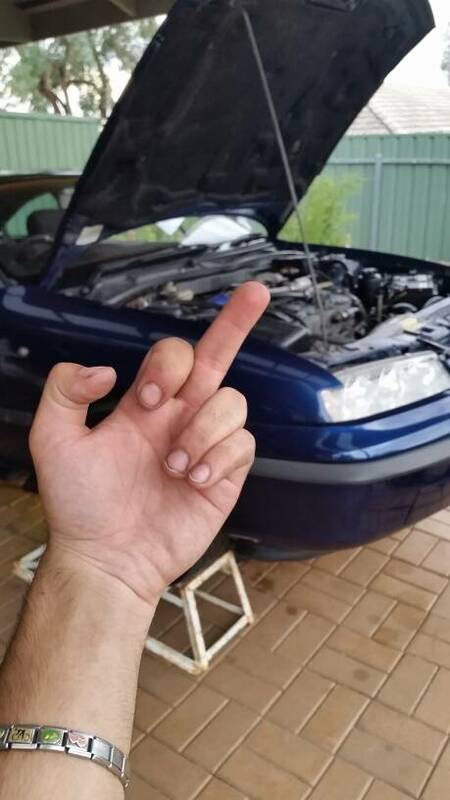 So I connected the replacement radiator to engine coolant hose and was so annoyed that she still leaked coolant as I was pouring water into the coolant bottle. Fixed that leak then at temp she leaked some more. Turned out the new leaks were just loose clamps on some of the hosing connectors! Yay! Was astounded at the colour (this photo is from last night, aka the first time I saw this thing washed and shiny since owning it. 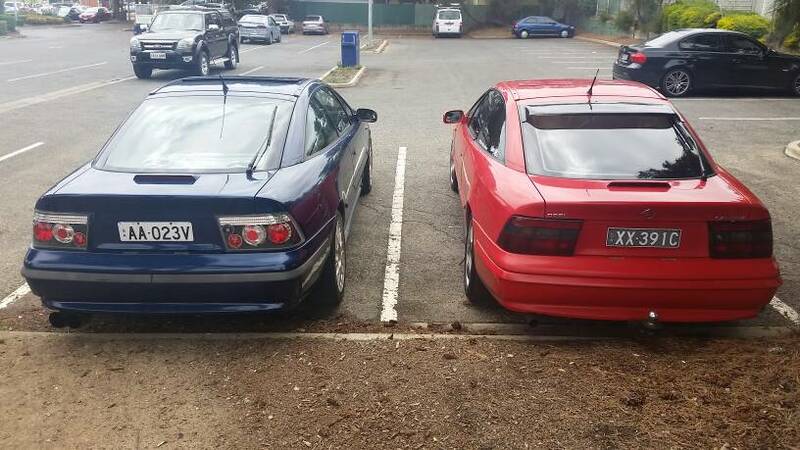 So today I swapped the wheels and numberplates between the cars. 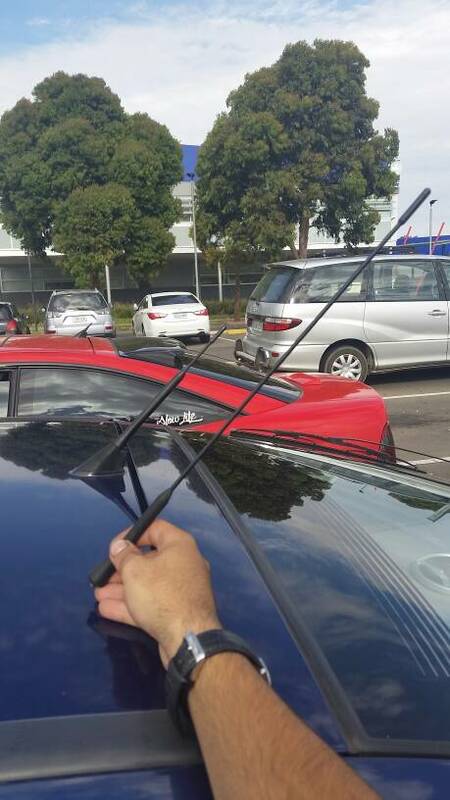 And also the rear windshield spoiler. 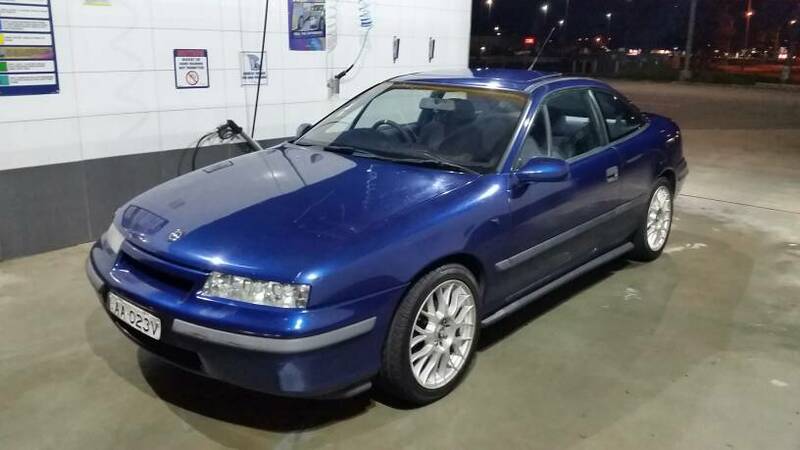 I've decided I'm going for the overall darker car look for the dark blue cali. Now I need to desperately prep my old black Angel eyes to go into the blue cali because I cannot see the road at all and the adjustment is so screwed. 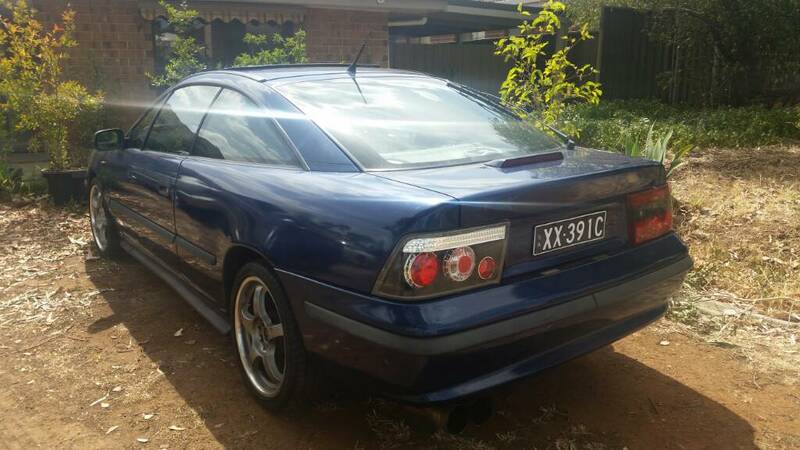 I've also got to sort out the tail lights.. 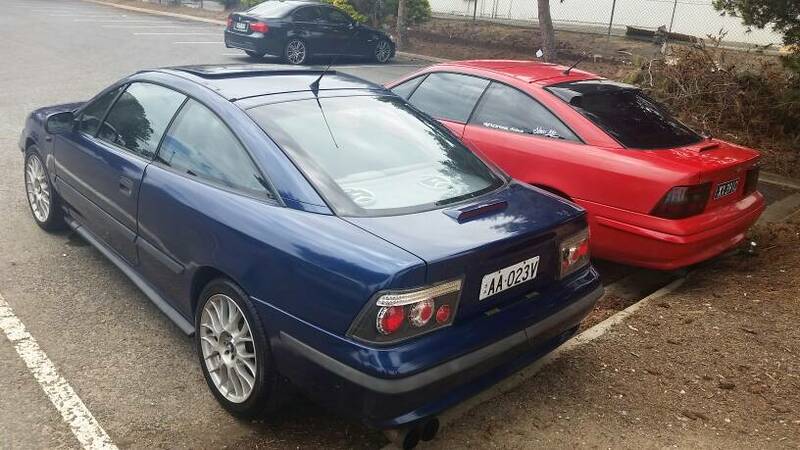 So the blue ones tail lights. I need some thought and suggestions. What do you think? 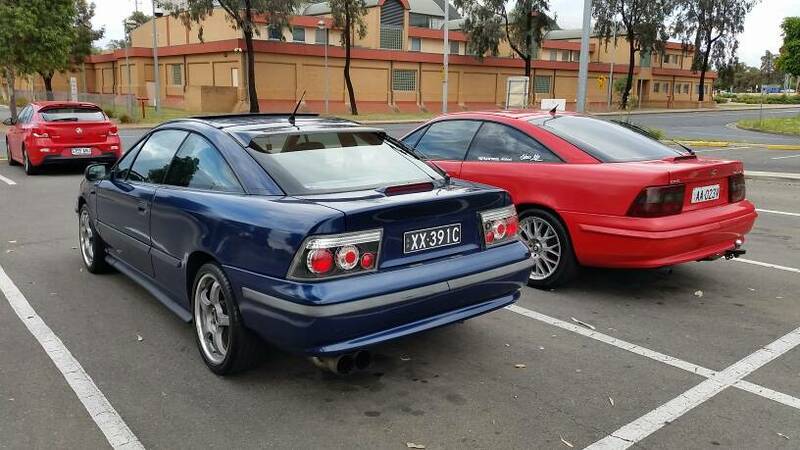 I reckon the tinted stock will give that overall darker look I'm looking for, the altezza ones stand out a mile on the dark paint job. Also chucked on one of my smaller aerials on the blue cali thanks to our Eddey. And I've ordered LED's for everywhere, and some other goodies so stay tuned. Hahah and that's all for now folks! 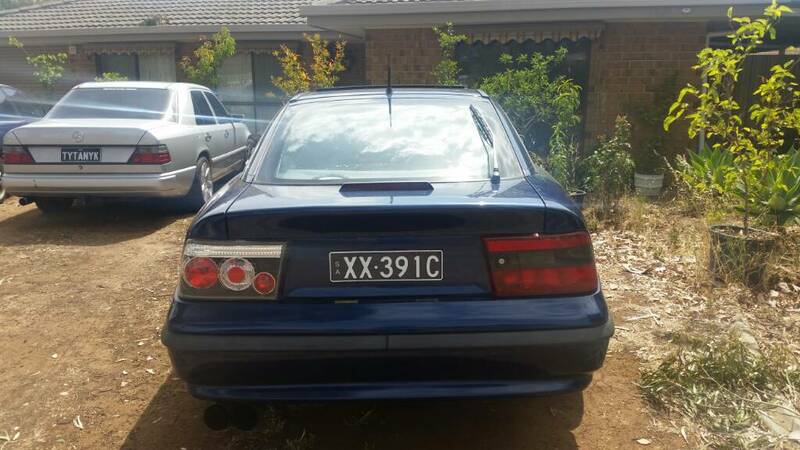 What's your thoughts on my tail lights lads and gals? Comment below. A mod that just went in @1am in the morning hahah. When ordering the dome light led panel I thought I'd try a new type the COB style like my angel eyes.. Omg! 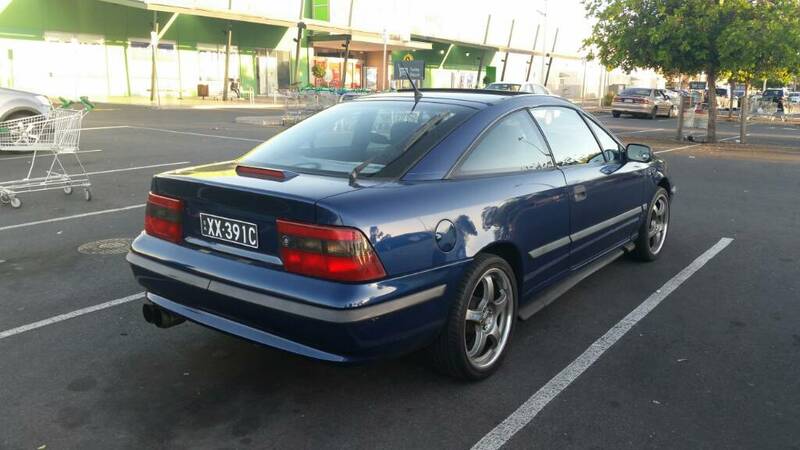 So ever since I've owned this blue Calibra, the rear numberplate lamp bulbs were burnt out. I've replaced now with leds. 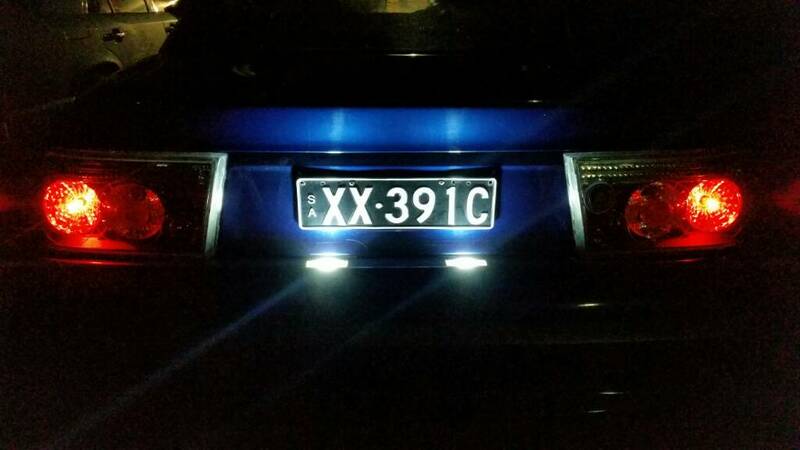 LED's for the speedo and centre console coming soon! Can't wait. watch what make you buy. Thanks mate. 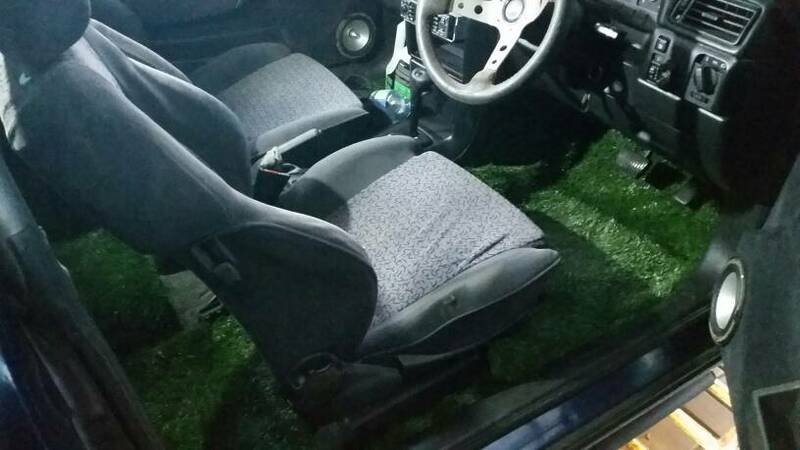 Best upgrade to young-ify the car! I just got a set from ebay. 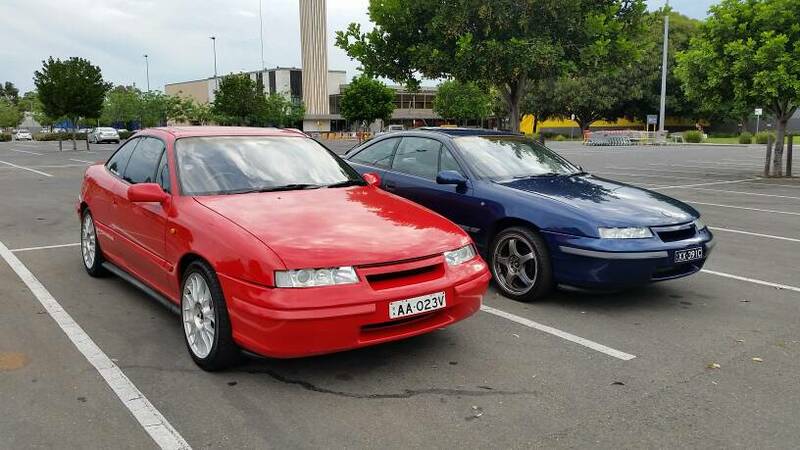 The set that's in my red calibra, was originally in my white Calibra for a total of about 3 years over both cars.. Now that's a good run! And I always drive with my headlights on.. So the leds really have lasted ages. Sometimes I guess it's luck! Saw it on Facebook a few weeks ago, and I thought that's maaad so I made my own version. 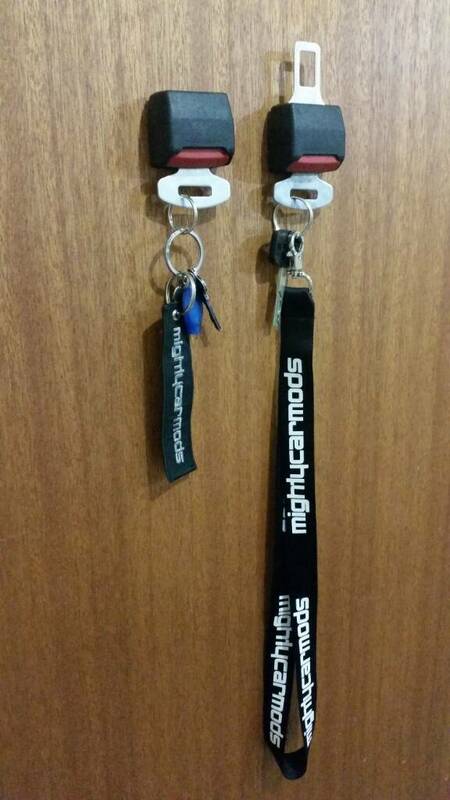 Now the family will never lose their keys.. They're the worst. Always forgetting where they put them and then stress in the morning when they're late to leave for their destination. 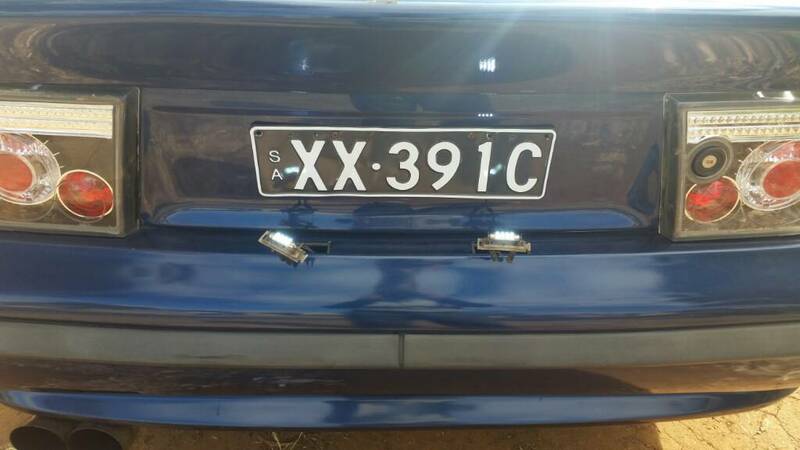 So firstly I decided that enough was enough and the tail lights needed some love. 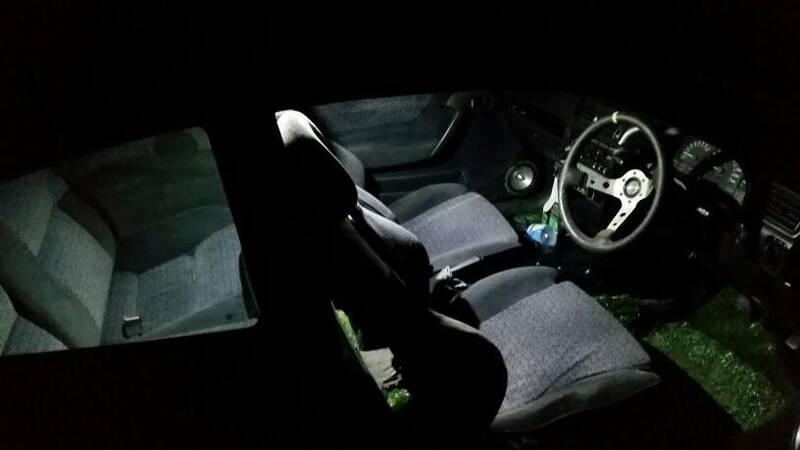 Next up I went and put LED's in the dome light, glove box, boot and under bonnet light, gear selector and clock. I also fitted a driver side pretentioner that was missing, replaced the knackered electric window switches and finally finally got the car to stop leaking coolant! Check this out. I got a new overflow bottle from a wrecker. Got it home plumbed it all up and as soon as I poored water into the bottle immediate water started gushing out from under the car. And I couldn't work out why. It just didn't make sense, the water kept gushing from behind the firewall, each time I poored it into the bottle. 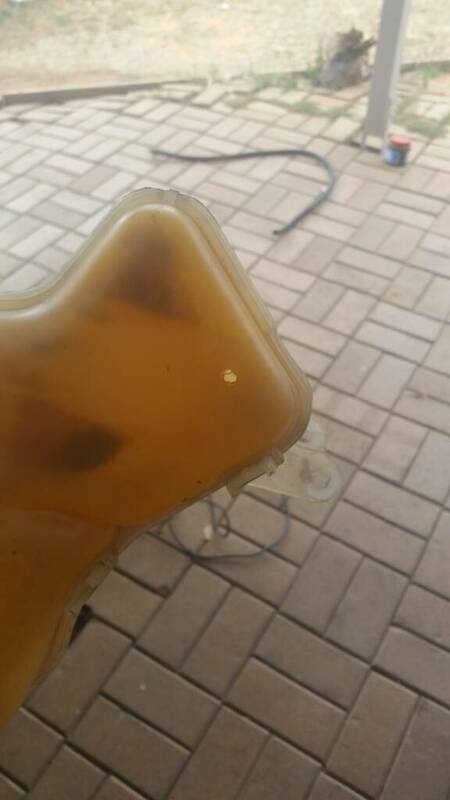 I was like.. Well previous owner had disconnected coolant from going to heater matrix so I was baffled until I took the wrecker bottle out and noticed this massive hole on the bottom of the bottle fuaaaaarkkk hahah mystery solved. So old bottle when back in that leaks a little under pressure. So I do need to source another soon. Anyone know of any that are available from ebay? She's slowly looking and feeling better.